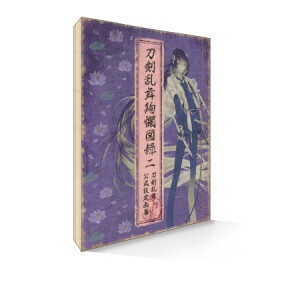 Second installation of the official Touken Ranbu-ONLINE- guide. The Part 2 companion book to our Touken Ranbu Kenran Zuroku, a comprehensive official visual guide to the Touken Danshi featured in PC browser and smartphone game "Touken Ranbu-ONLINE-," Touken Ranbu Kenran Zuroku II is coming out in summer 2018! Includes a total of 26 different Touken Danshi, including Nansen Ichimonji who was introduced in April 2018. Contains images of the Touken Danshi poised for battle and illustrations by Uchiban, as well as a collection of the special-move illustrations rarely seen even in-game. But that’s not all, it’s packed full of all-new incredibly detailed images that have never been seen before! ・We are no longer taking orders for the Touken Ranbu: Summer 2018 Comiket Set. ・All images are for illustrative purposes only. Actual product may slightly vary. First available at Comic Market 94 (Touken Ranbu Summer 2018 Comiket Set).